Follow Nathan, Jess, Denny, and others as they struggle through a post-apocalyptic America, where the only law is martial! Their struggles take them from the comforts of their southern Illinois homestead, to the brutal realities of an America where liberty is no longer a right, and survival is of the fittest. Valerie Ramirez, a special ed teacher still haunted by her toddler’s drowning accident, faces a fateful decision when she’s admitted into an exclusive program run by a mysterious biotech company. Kaden Baker, an elite hacker who dabbles in covert ops, finds her life turned upside down when she discovers her parents turn out to be imposters. Where does she come from? Who’s been financing her high-stakes secret missions? The answers lead back to the same sinister biotech firm. As Kaden and Valerie become allies, they make one startling discovery after another about the company’s dark intentions. But each step closer to the truth puts their lives at greater risk. The stakes couldn’t be higher - for Kaden’s freedom, for Valerie’s fate, and for the future direction of humanity itself. Get it now! Biohack is a roller-coaster thrill ride that appeals to both the head and the heart - with a shocking twist you won't see coming. 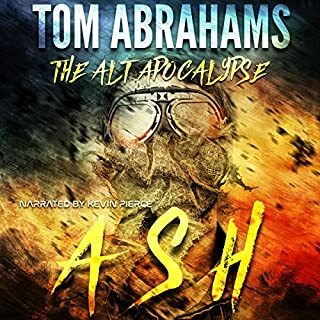 Perfect for fans of the late, great Michael Crichton's science thrillers and fans of Lee Child, A.G. Riddle, and Tim Tigner. be cocky or abnoxious with their new toys never changes. I cannot wait for the next book in this series, I am hooked! Fast paced and packed with action, this book raises many ethical questions with it's growing science and the evolving potential for designer babies. I love the characters in this book, they've been vividly created. The world also feels like something I could walk out my front door and find myself in. The ethical and moral struggles the characters face due to the emerging technology are the most interesting part of the book. Getting to see how the different characters react to things is really interesting. Beautifully written and narrated this book grabbed my attention, held it, and left me wanting more. Speaking of narration, great character voices and the deliveries pace and tone perfectly matched the story. Biohack: Gender Wars, Book 1. 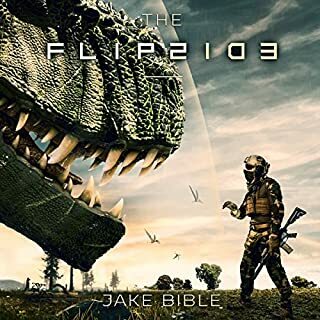 Gripping gets you on the 1st chapter and holds you till the last sentence, and leaves you wanting more, I do hope there is a book2 as suggested by the title. Fast paced with lots of action and maybe closer to the truth than we think. Well written and edited, Beautifully narrated. 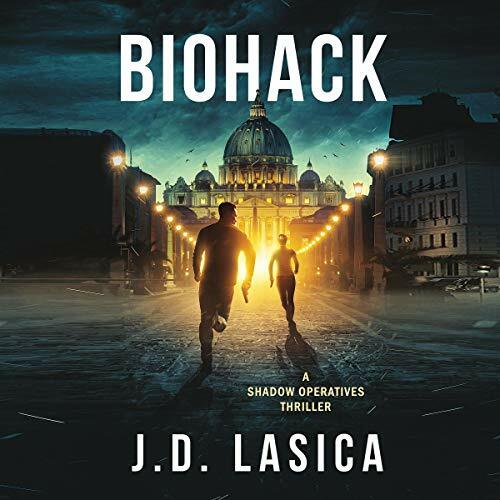 Biohack by JD Lasica was one of those books that I got excited when I saw the cover. Once I started to get into the book I wasn't over or underwhelmed. I was just... whelmed, which I don't think is a real word. There was something about it that tickled my fancy but also some parts of it (and maybe a little bit caused by the narration) that weren't perfect. I can tell that Lasica did his research while prepping this book. The two main parts split between hacking and genetics. And I didn't feel like any of it was too "far out" and some of it was like "oh yeah, that makes sense". A cool concept for a near future book for sure. Sometimes when there are a lot of characters in a book there can be too many. I think that Biohack flirted the line with this from time to time. Overall, it was a book that I enjoyed but I didn't love. I was "whelmed" by it and I would be potentially interested in diving into this world in the near future. It's great listen, with action, intrigue and the technical side genetics. Honestly it first peeked my interest because the main character looked like the mc in Appleseed. It was well paced and managed now to make the more sciency parts boring or dry. 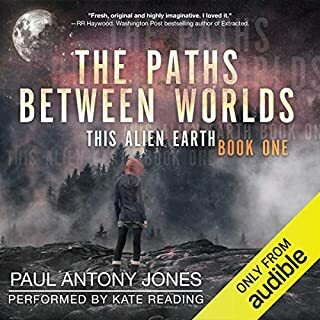 The narrator did a great job, with different, distinct voices and production above average, but had a mostly constant static like background noise or other noises. The ending seem somewhat rushed, reaching the climax and shortly after, the end. Would be interested in seeing where the story is going from here. Overall the story was decent but there's not much of a build up to story line. In my opinion the story is flat, there's not much of a build up. You have a pretty good idea where the story is heading within a couple of hours into the book. It could do with more action and adventure. I really enjoyed this story. That being said, the narration was hit and miss for me. Sometimes it was really engaging but others it kind of lapses into a dry place that had me starting to lose interest. All in all, though, this was a good book and I'd be open to more in the series. This one was all over the place for me, but it wasn't without promise. I liked the premise and the characters, but there were some pacing issues and other things that could very well be ironed out as the series progresses. 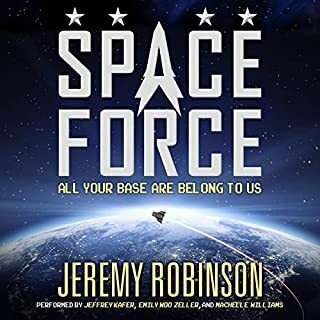 I think there is a solid foundation for some good sci-fi entertainment to mined from, and I will check out the next book. The narration by Denise Howell showed some promise but also had some issues. She hits some good points when things get going and have decent voices to spread around, but some of the time she will get a little monotone when doing the general narration. I have no doubt she will flesh that part out in future narration, and I feel like when she is hitting her stride it is quite good and she just needs to keep that going throughout the rest of her work. 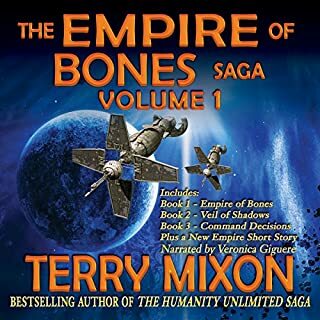 If you want a sci-fi tale that deals with some dicey subject matter in what is a possible future, and all of the sides that could exploit or encounter these technologies or changes, and are willing to give some leeway in the hope that it all comes together I recommend giving it a chance. There is definitely a lot going on in this book, and it is quite ambitious and I hope it can grow and succeed. Promising story but not without issues. I have to admit I came close to bailing on the book more than one, but I'm glad I stuck with it because there is an interesting and promising story in Biohack. The problem is that it just takes too long for it all to come together. I know this is Mr. Lasica's first novel, and I don't doubt he'll improve with more experience. I'd definitely be willing to give the next book a chance. This is the first book I've heard narrated by Denise Howell, and I have to say I am left conflicted. I'm going to give her 3 stars but I feel I'm being generous with that rating. There were definitely moments where I found her narration to be quite good, but I also have to be honest and say there were also long stretches where it felt completely lifeless. And I don't mean that there was no inflection in her voice, but at times it seemed like she was just saying words one after another. What do I mean? There were times when it was just one long monotone reading of words, where you couldn't tell where one sentence started and another began. It's a shame, because I heard real potential at times, where there was real passion in her narration, but those times were few and far between. 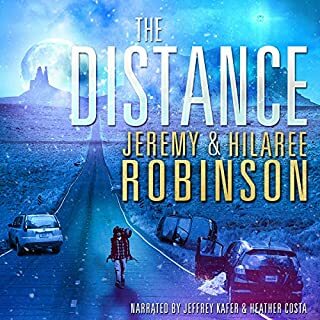 Checking on Audible I see this is the only narration credit to her name, so perhaps this was her first time and she's just getting the hang of audio narration. I hope that's the case. After all everyone has to start somewhere and as I said there were moments where she sounded quite good. Hopefully she continues to grow as an artist.